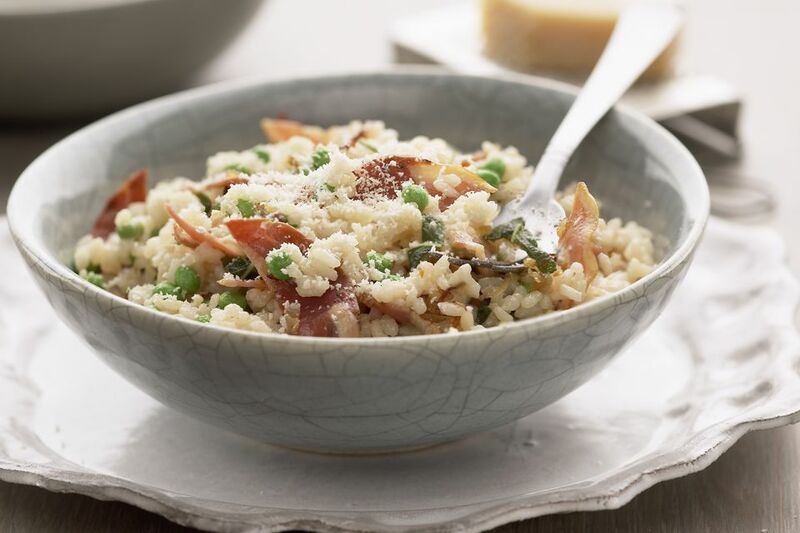 This pancetta risotto recipe is made by rendering cubes of pancetta (cured pork belly meat, sort of like thick bacon) until it's brown and crispy, and then sautéeing the rice in the rendered pancetta fat. Sweet green peas counterbalance the salty flavors of the pancetta, making this another classic variation on the traditional Italian risotto. If you're more a visual learner you can follow our illustrated demo to make this classic dish. Portion into individual bowls and garnish each bowl with the remaining pancetta. Serve right away, as risotto turns glutinous if held for too long.